Your mom used to say: "remember who you are." We just made that easier! Great for Lockers, Mailbox, Trophies/Awards, Warehouse Labels, general identification, and SO MUCH more. 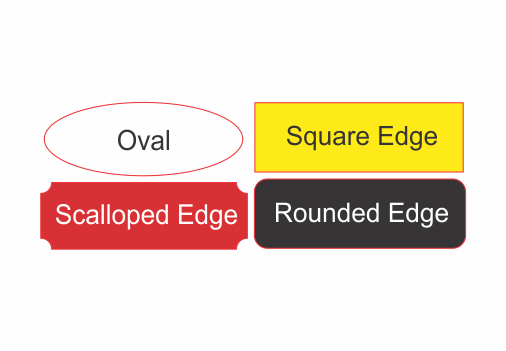 These tags are 1"x3", but we can do slight modifications to this size if you need. Just let us know what you need as you order. All name tags are centered - left to right and top to bottom with Line 1 in bigger font. We can also do 3 lines. If you want to see approximately how your Tags will look, Select your Color and then click on the image to the left to see font choices. Upload large (10+) list of names here or LOGO Already on File. Your mom used to say: "remember who you are." We just made that easier! Quantity discounts. 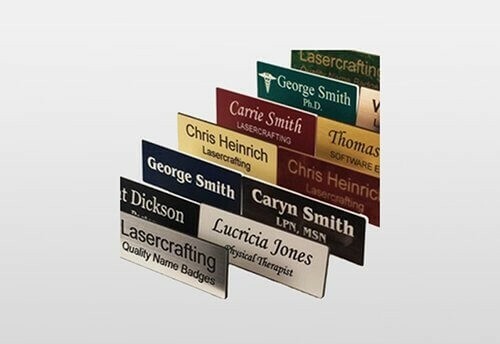 Great for Lockers, Mailbox, Trophies/Awards, Warehouse Labels and general identification. These are such good quality name tags and at the cheapest price I have ever been able to find any. Not only that, but every time I have called customer service with a question or concern they are so helpful. I have not once been put on hold. I highly recommend their badges and this company to anyone on the fence, just do it! They're amazing!